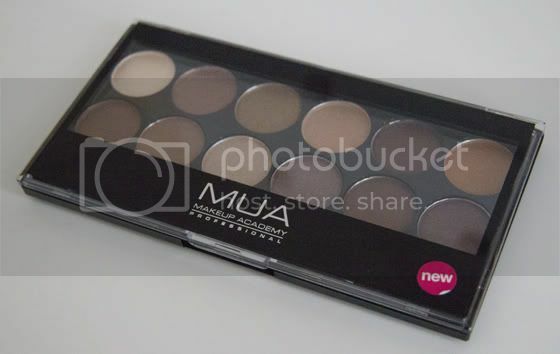 MakeUp Academy (MUA) is pretty new brand from me, even thought few month back I received some lovely items from them. After that I decided to try more products from MUA. The MUA brand is very affordable and the products have good quality. The lipsticks are amazing! I have both Urban Decay Naked palettes and I use them on daily basic, but this is very good alternative, if you looking for something cheaper. The neutral colours are great for everyday wear. I was very impressed with the pigmentation, as I thought it would be poor because of the price, but it's really good. Note to myslef, you should never judge anything because of it price. 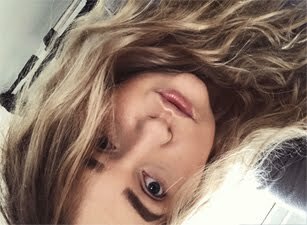 You have nice selection of 12 shades, I normally use lighter colours all over the lid, and then darker colours in the crease (that my everyday eye look). The eyeshadows are very creamy and easy to blend. Some shades are a little bit to shiny/shimmery for my likings, but overall I do like it. 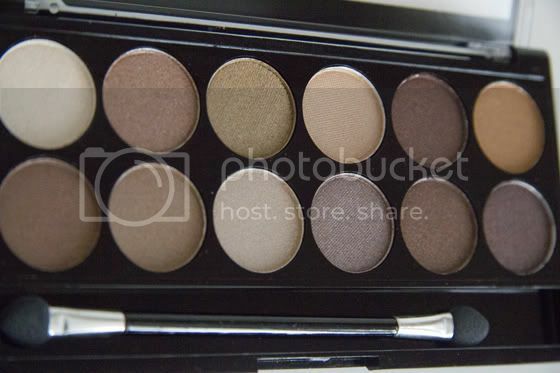 It's inexpensive palette for neutrals lovers. 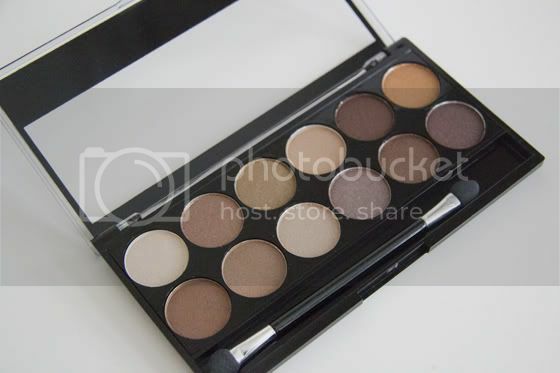 I would strongly recommend it if you for a affordable neutral palette. For £4 you can't go wrong. It would be amazing if MUA could created exact copy of this palette but with all matte eye-shadows. I do like shimmery eyeshadows, but I'm really into matte look at the moment. this is such a beautiful palette! I want it, where can i buy it? I was debating buying this recently, but I wasn't sure. Now after reading your reveiw and a couple of others I think I might have too! You're such an expert on make-up, I'm so jealous! Loving this earthy, almost-autumnal palette. It feels like you are to me because I'm such *crap* ahah I only use creams, mascara, blush and lipstick. I never even wear shadow! Chcialam kupic ta paletke siostrze, ale w zadnym Supredrug jej nie ma! Ps. Dzisiaj zmywalam ten brokat a paznokci ;) masakra!